May I request your logfile? Here is my logfile, and the only graphics card i have is the integrated intel one as previously stated. Thank you so much for all of your help!!!! Every time I run SE, the screen is fully white. The sound works and the cursor appears and I can move it too. Anyone can help me figure out what is the problem here? Disable threaded optimization for SE in the NVidia control panel. 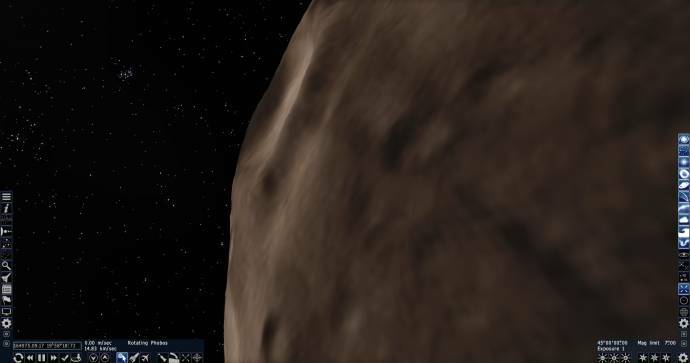 I think your graphics card is incompatible with space engine. Have you tried going into device manager and right clicking on your graphics card and clicking update driver software? Instead of just downloading an auto detector? What are your system specs? Do you run Windows? Have you seen this? It's in the original post by HarbingerDawn. Space engine crashes when you're in close proximity to a star cluster? Could you post your log file please? And give a better description of the problem? Does it just stop responding or is there an error message or something? What are your system specs? Like how much vram do you have? I keep hearing that people have tried this with the oculus rift. However, when i try it out everything looks tiny, and there's no head tracking. I'm using the Dk2. Well, so I've just noticed this, I don't know if it has to do with the proceduraly generated stars, but it seems like there are almost no stars in the milky way (and other galaxies). I've atached a screenshot of the 0.9.7.2 and other of the 0.9.7.1 to see the comparison. It looks like you need to adjust your graphics settings.... Like mess around with the magnitude and brightness by pressing F7. Or pressing ESC and then pressing Graphics. It is rather abnormal.. But I'm pretty sure it's just a bug.. SE is still in the beta stage of development and some of the procedural stuff can be glitchy. Pictured: On the left a scorched desert with a temperature of 3442 Kelvin. On the right a scorched Terra with of a temperature of 2579 Kelvin. There's liquid water on the surface. Here's my SE log! PLS help! some planets look very strange. Did a fresh install of the newest SE and am getting crashes every time I move my camera quickly. It's almost like the motion blur is crashing the video card. I have tried setting the motion blur distance to 0 in the config as well as changing the star type to "sprites" instead of "motion blur". The strange thing is that I can use a goto command and it will zoom to a new star/planet and not crash, but moving the mouse or orbiting an object quickly causes it to crash. I can leave it sitting for unlimited time without the game crashing if the mouse doesn't move. I updated my video card drivers and did a clean install of them. 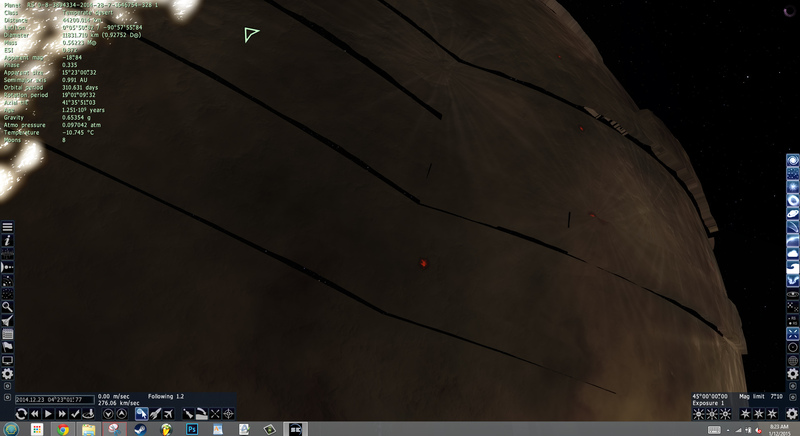 Before updating the video card drivers I was getting the crash and planets were rendering fine. After updating them I can no longer see procedural planet surfaces, but can see aurora around them. I also cannot see the sun or earth. Edit: I have also disabled 3D water, turned off threaded optimization, and turned off FXAA and Lines Antialiasing with no effect. The only thing on missing planets in the original post is about ATI/AMD and I have an Nvidia card so I'm not sure what to do on that. There is nothing in the log about the crash. I just get a Windows error that Space Engine has stopped working. It will be under the debug section. In the Space Engine, the absolute magnitude of Wolf 359 is 12,33, but since i know, the real absolute magnitude is 16,67. 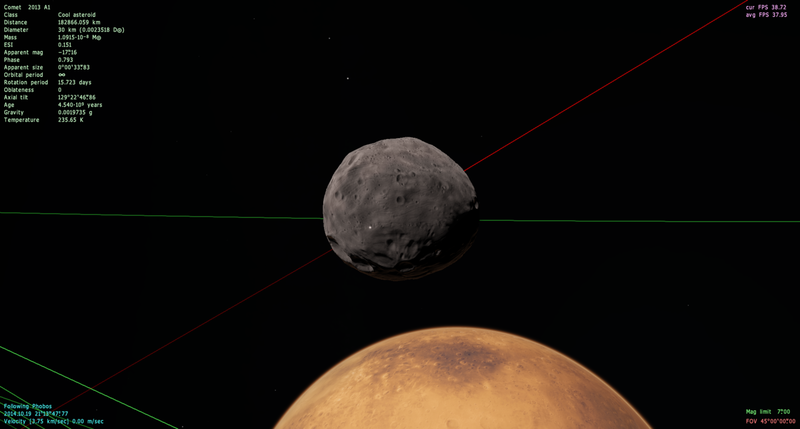 Barnard's Star in Space Engine is a Red Subdwarf ( M4 VI), but the real type of Barnard's Star is M4 V Red Dwarf. Alright, I did that. But now my textures look low quality. Is that what happens when you mess with that format? And I messed with the LOD, nothing really happened. And this is some random satellite, so no missing textures should be the issue. Also, I still see small streaks of black lines on my planets surface. Make sure your planet resolution textures are at least 128x128. Also depending on your system it takes SE 10-40 seconds to completely render a landscape with full detail and quality. Also find the the right LOD setting that is right for you performance/Visuals. I like mine at -1. Get a lot more quality with a small performance reduction.